The incident has sparked a debate about children and consent. Marks worked at a Claire's store in Edmonton, Alberta, for four months before she quit her job in early April, after she was told she would face disciplinary action for refusing to pierce the 7-year-old's ears. "Usually it might take 15 minutes for a nervous child to pick out some earrings and get their ears pierced," Marks told TODAY. “This was 30 minutes of sobbing refusals. She made some very clear statements, such as: 'I don’t like them touching me. I don’t want the gun on my ear.'" “This was a child who decided clearly she did not want to be pierced and had withdrawn her consent," said Marks. 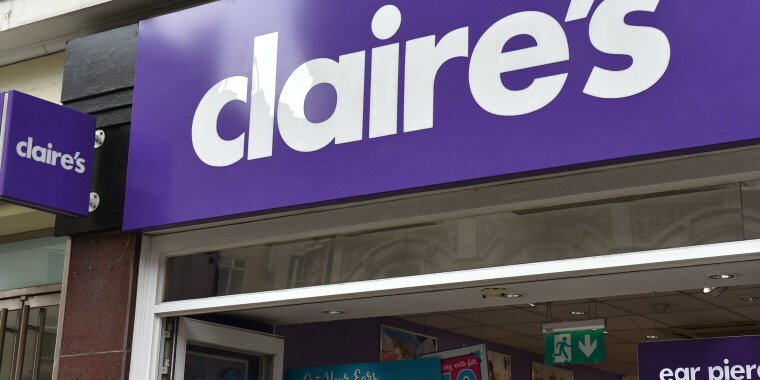 Claire's has pierced more than 100 million ears over the past four decades but Marks' letter has put a spotlight on its policies. In a statement to TODAY, the company said customer well-being is "our main priority and our existing ear piercing policy ensures that if a child is distressed or resisting the procedure, Claire’s employees can refuse to continue the piercing." Claire's has also clarified the wording of its existing policy and reiterated to employees and managers that they have a right to refuse to pierce a child who does not consent, even if they're being pressured by a parent.